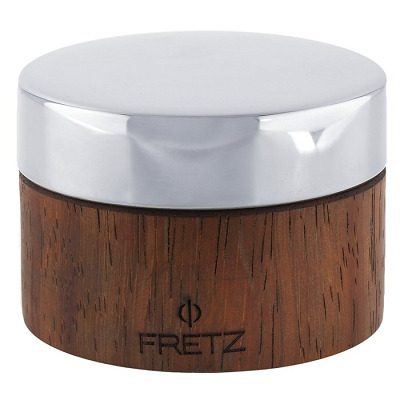 Fretz Style Made with all the quality and excellence typical , this anvil is sand-cast from 420 stainless steel, highly polished and set onto a beautifully polished Padauk wood base. The stainless steel and smooth finish prevents mill marks on your workpieces and the ensures that the anvil will never rust. Each base has four nylon feet countersunk into the base to add cushioning and stability when placed on the work surface and to protect the work surface itself against marring. Use this flat anvil to shape metal forms or as a small, high-polish anvil.